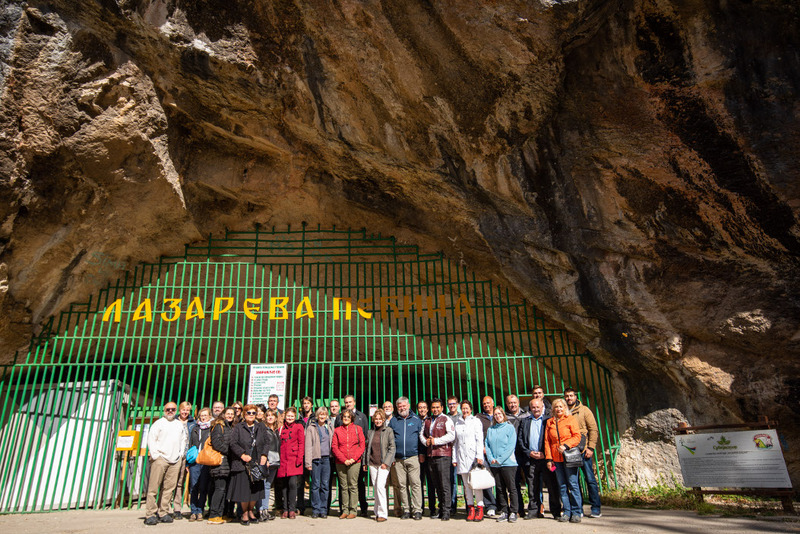 The 50th International October Conference on Mining and Metallurgy (50 IOC) was held from 30th September to 3rd October 2018 at Hotel “Jezero”, Bor Lake, Serbia, about 250 km south-east of Belgrade. The 50 years. A lot and a bit. Nevertheless, our traditional conference is making great efforts to promote science in Serbia and accelerate the overall development of the country. The conference was proof that each section can be accessed from the life on a scientific basis and that obtained relevant scientific results are the basis for future development. The 50 IOC is organized jointly by the Mining and Metallurgy Institute Bor and the Technical Faculty in Bor, the University of Belgrade. Firstly, it was a national conference, then a conference with international participation and since 2002 it has been organized as an international conference. This anniversary year the conference was organized by Mining and Metallurgy Institute Bor. The Conference aimed at providing a forum for presentation and discussion of scientific research, technological development and practice on the subjects focused on geology, underground mining, surface mining, mineral processing, extractive metallurgy, metal processing, materials science, inorganic technology and chemistry, environmental protection, energy efficiency and related engineering topics. The Conference managed to retain the mass presence and quality of this anniversary year. It has as many as 272 participants from 16 countries, of which 49 is abroad. The participants come from Austria, Bosnia and Herzegovina, France, Germany, Italy, Japan, Libya, Mexico, Montenegro, Poland, Republic Srpska, Romania, Russia, Serbia, Slovenia, and United Kindom from over 30 institutions such as scientific, researching and education institutions, government institutions, public and private companies. The Conference was organized in five sessions – Plenary Lectures, Plenum work with oral presentation and oral and poster presentations. All accepted papers by the Scientific Committee were published in the Conference Proceedings. There were in total 106 papers and 5 plenary lectures. Some things, however, remain unchanged. And it was that 50th International October Conference on Mining and Metallurgy provided a good opportunity for meeting the old friends and colleagues, was making new contacts and exchanging useful information as well.